I received an ebook copy of this for free in exchange for my honest review. "Would you help a desperate young woman knocking on your door? As a security guard, do you really have a choice? A desperate young woman is knocking on the door of the Israeli consulate in Boston, seeking asylum, claiming that she is the only survivor of an Israeli spy network. The gate remains locked, but a security guard, who falls in love with her, is trying unsuccessfully to rescue her. He embarks on a discovery trail, meeting tough American and Israeli government agents, cynical merchants and passionate dreamers. By the end of the trail he discovers the woman and the truth that lies underneath her story and his own life. 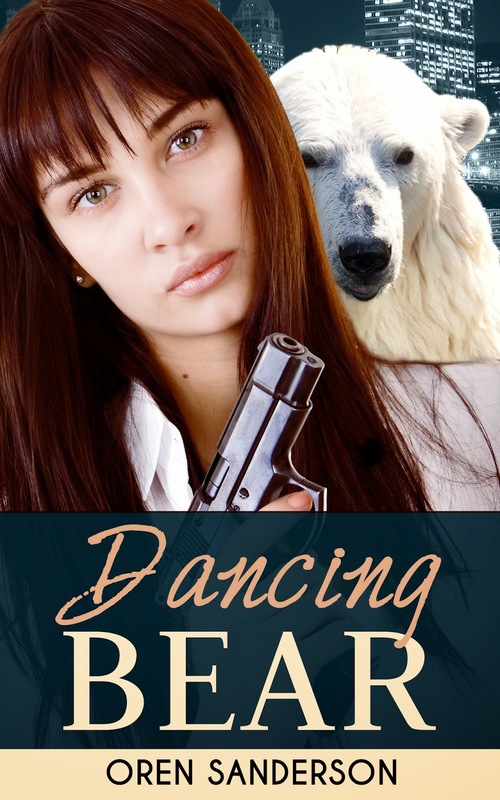 "Dancing Bear" is a political thriller, in which the author managed to bring in his life experiences into the story, and create a fast paced read with twists and turns. The story ripples with things just under the surface, waiting to be revealed by the reader." I read the description and thought I'd enjoy this novel. And I did to a point. I actually found it to be somewhat difficult to follow. The young woman mentioned in the book description is well written. She is the object of the security guard's entire attention. He sees her in her most desperate hour. He is disenchanted with his current place and little does he know, following this young woman will turn his life upside down. As I don't read many political thrillers, I have a hard time keeping up with what all is going on. Who is connected to who and how this event is related to that one and in the realm of politics there is really no one to be trusted. So I didn't see the plot twists coming. If you are into the political thriller genre, then I would most certainly recommend this book. As for myself and others who rarely read this type of story, maybe/maybe not. It will certainly keep you on your toes.